MCC is a free, graphical programming tool that generates C code to be inserted into your project. The purpose of this post is to demonstrate how to launch the MPLAB Xpress Code Configurator (MCC) plugin from within MPLAB Xpress IDE. The MCC is a free graphical programming tool that works within the MPLAB Xpress IDE to generate seamless, easy to understand C code that is inserted into your project. 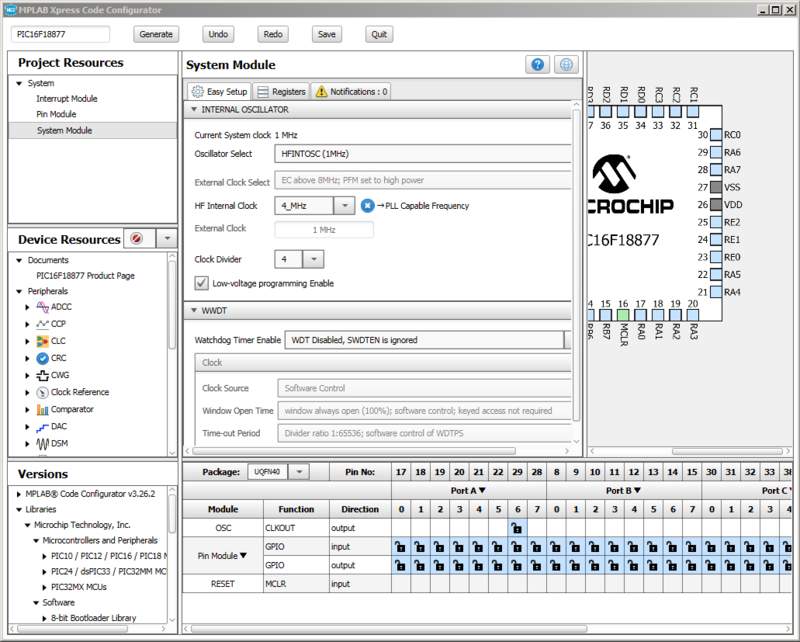 Using an intuitive interface MCC enables and configures a rich set of peripherals and functions. MCC is a Java-based application. 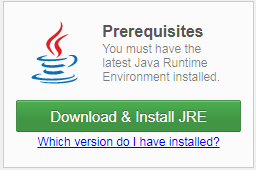 To ensure proper application operation, confirm that the host computer used has latest version of Java Runtime Environment is installed by following the prompts in the first pane of the Manage MPLAB Xpress Code Configurator window. 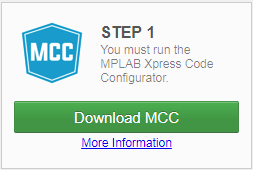 Click the Download MCC button in the Step 1 pane to download the MCC_Xpress.jnlp file. This .jnlp (Java Network Launching Protocol) file will be used by Java Web Start to run the MCC application. Navigate to the browser's Downloads folder and double-click on the MCC_Xpress.jnlp file to launch. navigate back to the Manage MPLAB Xpress Code Configurator window. In the Step 2 pane click on the Copy Token button next to the unique token field. Return to the Enter Token from MPLAB Xpress window and paste the new token into the Please enter your Token: field by right-clicking and selecting paste. An advantage to using the online version of MCC is that it is always updated with the latest device files every time the application is opened. 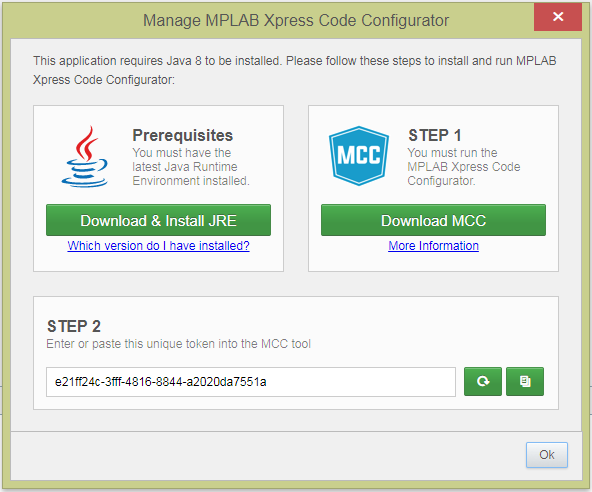 Once the update process is completed the MPLAB Xpress Code Configurator window should open.